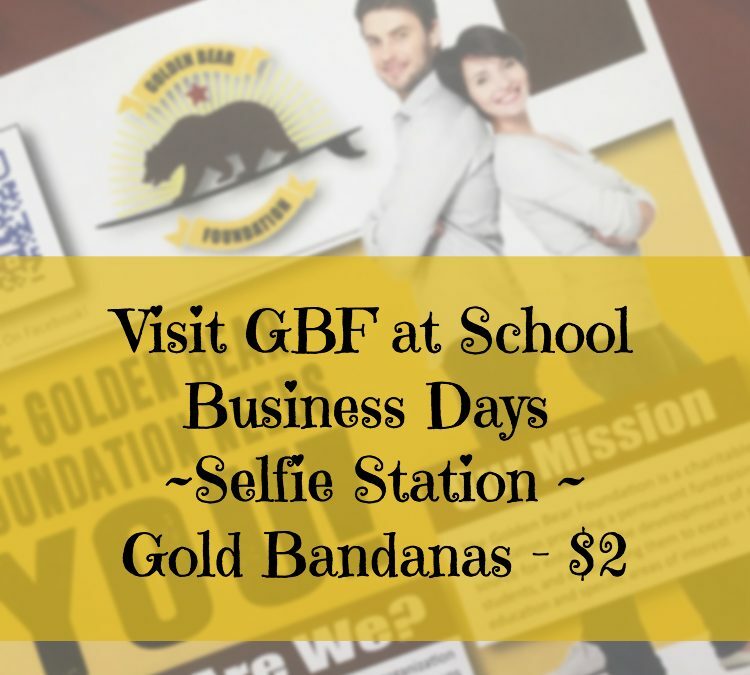 Representatives from the Golden Bear Foundation will be on campus during School Business Days next week. We plan on having a fun “selfie” station where you can show off your school pride. Please stop by our booth, learn a little bit more about what we do, buy a tasty snack, and take a selfie. We’ll also have Gold Zone bandanas for sale for just $2!